The Committee held the first tranche of public hearings on the three labour bills, namely: Labour Laws Amendment Bill; Basic Conditions of Employment Amendment Bill; National Minimum Wage Bill; and Labour Relations Bill. COSATU, FEDUSA and NACTU made a joint submission. COSATU, FEDUSA and NACTU, in a joint submission, said the debate about whether a national minimum wage should be introduced and what the benefits thereof would be had been exhausted and the ruling party, government and social partners have agreed to the introduction of a NMW. The three federations’ commitment to the introduction of a NMW was reflected in their signing of the February 2017 ‘Agreement on the Introduction of a National Minimum Wage’, their participation in the subsequent process at NEDLAC on the NMW Bill and the Basic Conditions of Employment (BCEA) Bill, both in the task team and the Committee of Principals, led by the then-Deputy President, and their participation in the process to consider these bills at the National Assembly’s Portfolio Committee on Labour. It was important to note that in the February 2017 Agreement, the level of the NMW was already agreed by all the constituencies. This level was arrived at after lengthy and in-depth research, including by the panel set up by the then-Deputy President and others. It was also informed by information and guidance from the International Labour Organisation (ILO) using international examples and from other countries themselves. Most significantly, it was agreed by the constituencies. The R20 per hour was not Labour’s desired level and should not be regarded as such. It is a level that is much lower than the level proposed by Labour, and even much lower than Labour’s compromise proposal. Furthermore, some of the provisions in the NMW Bill would already undermine the agreed NMW level. For instance, a lack of protection for workers on minimum hours opens the gate for the formal level of the NMW to be undermined in practice. Whilst organised labour did not manage to resolve all its areas of concern in the bills, it was concerned about the continuous delays in the bills’ adoption and implementation. Its members and workers more broadly feel that the bills have been delayed for too long and now need to be implemented. The federations thus called upon the NCOP to not allow any further delays and to pass the bills as soon as possible. In conclusion, the introduction of a NMW in South Africa was a major policy advancement that could help to address poverty and inequality, two of the three major crises facing the country. It could only do so if the legislation is sound and comprehensive. Labour believed that the proposals contained in its submission would help to strengthen the legislation and address the gaps that still exist within it and that these can be done in future amendment bills. The three federations’ clear mandate now as organised labour was for the bills to simply be passed with no further delays. Members appreciated the submission and pointed out that the NMW Bill was a step in the right direction. However, there were arguments to the effect that perhaps the NMW should have been approached differently, mindful of the serious challenge of high unemployment. Proponents of these arguments believe there was need to exercise caution as the NMW might exacerbate the challenge of high unemployment. They asked for comments on this. On LRA Bill, they pointed out that some stakeholders were arguing that there had not been adequate consultation with all organised unions and the public at large. 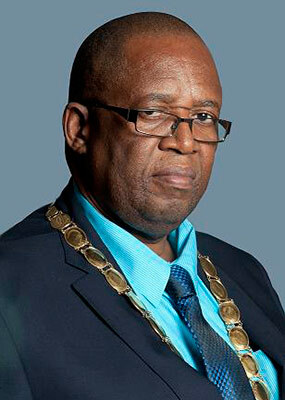 South African Federation of Trade Unions (SAFTU), in particular, felt left out. Did the three federations believe this argument was valid and would they recommend that the Bill be sent back to NEDLAC for further consultations? The BCEA Bill was welcome and progressive. However, the Department of Labour would have an obligation to ensure compliance and enforcement of the Bill. Members asked for an indication on whether unions were satisfied by the National Assembly deliberations on the labour bills. Did the unions engage with non-unionised labour across sectors as well? On the NMW Bill, the consensus is R20 was not the ideal amount but that it would make a huge difference was indisputable. He asked whether, upon engagements at NEDLAC, the three federations got a sense that Business was willing to adhere to the stipulated minimum wage or there could be compliance challenges. They welcomed the provision that would see underpaid workers getting refunds. However, pragmatism was key in the formulation of legislation. 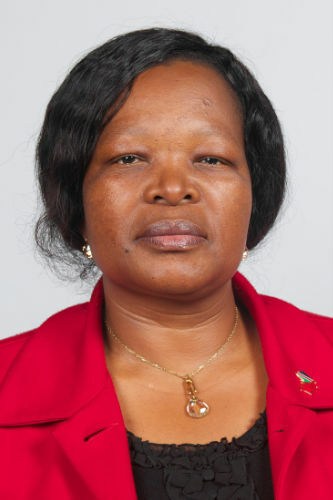 The Chairperson welcomed everyone and indicated the Committee had received nine written submissions on the Labour Bills from stakeholders which would be considered in three tranches. Mr Matthew Parks, Parliamentary Coordinator, COSATU, submitted that, at this stage, the three federations would not enter into the debate about whether a national minimum wage (NMW) should be introduced and what the benefits thereof would be. This debate had been exhausted and the ruling party, government and social partners had agreed to the introduction of a NMW. The three federations’ commitment to the introduction of a NMW was reflected in their signing of the February 2017 ‘Agreement on the Introduction of a National Minimum Wage’ (“the February 2017 Agreement”), their participation in the subsequent process at NEDLAC on the NMW Bill and the Basic Conditions of Employment (BCEA) Bill, both in the task team and the Committee of Principals, led by the then Deputy President, and their participation in the process to consider these bills at the National Assembly’s Portfolio Committee on Labour. It was important to note that in the February 2017 Agreement, the level of the NMW was already agreed by all the constituencies. This level was arrived at after lengthy and in-depth research, including by the panel set up by the then Deputy President and others. It was also informed by information and guidance from the International Labour Organisation (ILO) using international examples and from other countries themselves. Most significantly, it was agreed by the constituencies. The R20 per hour was not Labour’s desired level and should not be regarded as such. It is a level that is much lower than the level proposed by Labour, and even much lower than Labour’s compromise proposal. Furthermore, some of the provisions in the NMW Bill would already undermine the agreed NMW level. For instance, a lack of protection for workers on minimum hours opens the gate for the formal level of the NMW to be undermined in practice. Whilst organised labour did not manage to resolve all its areas of concern in the bills, it was concerned about the continuous delays in the bills’ adoption and implementation. Its members and workers more broadly feel that the bills have been delayed for too long and now need to be implemented. They thus called upon the NCOP to not allow any further delays and to pass the bills as soon as possible. The three federations had the following comments and proposed the following amendments to be included in a future amendment bill. The federations proposed a new subsection, possibly numbered as 5(1)(d) that will explicitly make it clear that employer contributions to medical aid schemes or retirement funds are excluded from the calculation of the NMW. While it was agreed that employer contributions to these benefits and statutory contributions cannot be included in the calculation of the NMW, including it here will mean it is unambiguous and will act as a reference for workers. Employer contributions to benefits cannot be included in the calculation of the NMW or it will further dilute the NMW, resulting in workers taking less money home. Ethical employers will not do this but to protect workers against unethical employers this needs to be explicitly stated in the Act. During the Portfolio Committee deliberations, the Department of Labour indicated that in principle it did not want employers to deduct their contributions from the NMW. This section needs to cover companies that obtained an exemption (or an exemption notice) in terms of the exemption regulations by providing false or incorrect information. Such companies cannot only be penalised by the cancellation of their exemption notice. They need to pay a fine but, importantly, also refund their workers for the underpayment that took place during the period for which the company had the exemption notice. COSATU, FEDUSA and NACTU participated for two and a half years in detailed negations at NEDLAC on the Labour Relations Amendment Bill. As organised labour, the federations were proud that they defeated attempts by business to undermine workers’ hard won constitutional right to strike. The federations were also proud of the major victories that they had won as organised labour with the bill’s provision for the Minister of Labour to extend collective bargaining agreements. In short the LRA Amendment Bill represents the power or a united organised labour and a victory in defence of workers’ rights to strike and collective bargaining. In conclusion, COSATU, FEDUSA and NACTU accepted the Labour Relations Amendment Bill. It had not undermined a single worker’s right. It had not touched upon workers’ constitutional right to strike. It provided huge victories for unions, organised and unorganised workers by allowing the Minister to extend collective bargaining agreements where parties are sufficiently representative. COSATU, FEDUSA and NACTU strongly welcomed and support the correct and progressive objectives and intentions of the Labour Laws Amendment Bill. Whilst the federations have additional proposals with regards to the Bill, they believe that it is progressive, seeks to achieve important improvements in the lives of workers and their families, is in line with organised labour’s long standing calls and should be strongly supported. In a nutshell, the Labour Laws Amendment Bill is progressive, critical and will play an important role with regards to helping society raise healthy children and strengthening the families needed to support them. The Bill was long overdue and should be welcomed by all. Organised labour strongly supports the Bill and urged all Members of Parliament and government to do so as well and to speedily pass the bill into law. It is in line with organised labour’s long held support for the achievement of paternity and its expansion. Arguments against providing for parental and adoption leave, such as that men do not give birth etc. are out of date, not in line with South Africa’s democratic Constitution and should be dismissed as relics from the era when child rearing was left to women who in turn were expected to be stay at home mothers. Such opposition is out of touch with the progressive modern caring society that organised labour strongly supports and which all children deserve. Lastly, whilst strongly supporting this progressive bill, the federations believed this is merely the first step towards achieving similar parental, maternity and adoption paid leave provisions as enjoyed by Sweden. In conclusion, the introduction of a NMW in South Africa was a major policy advancement that could help to address poverty and inequality, two of the three major crises facing the country. It could only do so if the legislation is sound and comprehensive. Labour believed that the proposals contained in its submission would help to strengthen the legislation and address the gaps that still exist within it and that these can be done in future amendment bills. The three federations’ clear mandate now as organised labour was for the bills to simply be passed with no further delays. Mr L Magwebu (DA, Eastern Cape) appreciated the submission. The NMW Bill was a step in the right direction. However, there were arguments to the effect that perhaps the NMW should have been approached differently, mindful of the serious challenge of high unemployment. Proponents of these arguments believe there was need to exercise caution as the NMW might exacerbate the challenge of high unemployment. He asked for comments on this. On LRA Bill, he pointed out that some stakeholders were arguing that there had not been adequate consultation with all organised unions and the public at large. South African Federation of Trade Unions (SAFTU), in particular, felt left out. He asked if the three federations believed this argument was valid and if they would recommend that the Bill be sent back to NEDLAC for further consultations. On BCEA Bill, it was welcome and progressive. However, the Department of Labour would have an obligation to ensure compliance and enforcement of the Bill. He asked whether organised labour believed the Department had enough capacity to facilitate adequate compliance. 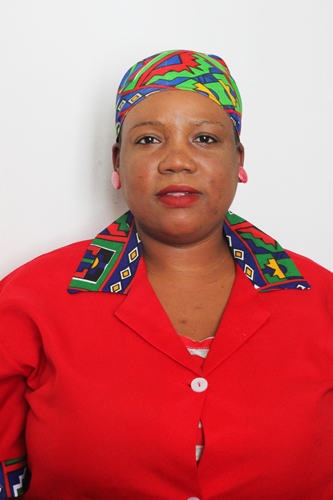 Ms M Dikgale (ANC, Limpopo) asked how it would be ensured that employers adhere to the provisions of the NMW Bill. Monitoring and enforcement of the bills would be paramount. Also, how were the provisions in the bills going to deal with outsourcing of workers? 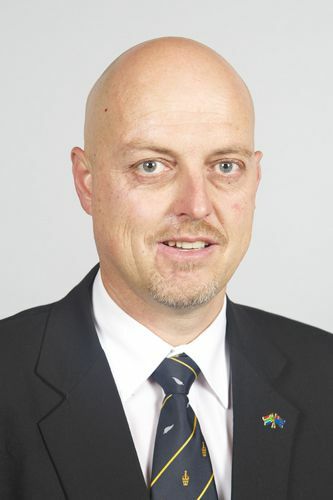 Mr W Faber (DA, Northern Cape) said he was not entirely opposed to the concept of having a minimum wage. However, perhaps there should be provisions for sector specificity. He added a universal minimum wage could potentially lead to job losses of between 200 000 to 900 000 in some sectors, as identified by researchers. Was this not of concern to organised labour? Mr E Makue (ANC, Gauteng) asked for an indication on whether unions were satisfied by the National Assembly deliberations on the labour bills. Did the unions engage with non-unionised labour across sectors as well? On the NMW Bill, the consensus is R20 was not the ideal amount but that it would make a huge difference was indisputable. 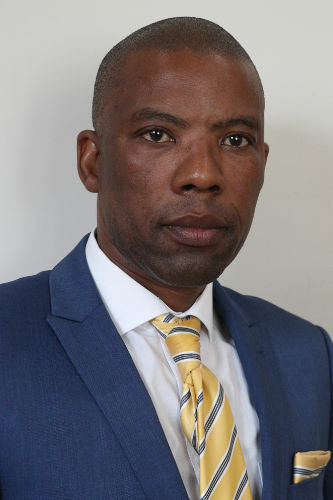 He asked whether, upon engagements at NEDLAC, the three federations got a sense that Business was willing to adhere to the stipulated minimum wage or there could be compliance challenges. He welcomed the provision that would see underpaid workers getting refunds. However, pragmatism was key in formulation of legislation. He asked if the unions believed the CCMA would be able to deliver on picketing rules and other responsibilities bestowed on it and how this would impact on workers’ rights. The Chairperson asked whether the unions had been consulted by the Department pertaining formulation of regulations for the three bills. Mr Parks agreed there were various arguments against the NMW on the basis that it would bleed jobs. However, the provisions of the bills were agreed upon after intense negotiations at NEDLAC and beyond together with a panel of experts and academics. The provisions agreed upon were sensitive to the realities of a brutal economy. Enforceability and practicability were also key considerations during the negotiations. The three federations believed the right balance and compromises were reached. It was well-understood by most stakeholders that the bills were no a magic wand, but necessary in efforts to deal with inequality. Mr Parks added the three federations believed there had been sufficient consultation processes from as far back as 2015. The NMW was negotiated for two and a half years at NEDLAC, up to the signing of the February 2017 Agreement. SAFTU was only formed in April 2017. The Portfolio Committee on Labour also embarked on extensive consultative processes, accepting submissions even after deadlines had passed. The consultation processes were quite inclusive. He agreed the Department of Labour should have enough capacity to enforce the pieces of legislation and ought to be afforded more support to realise this. Discussions on regulations for the three bills were almost complete at NEDLAC. COSATU was happy with escalating fines and also hoped exemptions would not be abused. He pointed out that the challenge with sectorial determination was that currently it only covered 30% of the workers and the rest were not. The NMW, a wage floor to protect the vulnerable workers, was a compromise. It is not ideal but a starting point. He added that workers were quite worried about the delays in the implementation of the NMW. 2018. He pleaded with the Committee to finalise the Bills expeditiously so as to enable promulgation before the end of the year. What workers were waiting for must not be delayed. The Chairperson appreciated the engagements and indicated consideration of submissions would continue the following day.